We have finally acquired samples of the current models of Scythe processor coolers which have ambitions to be crowned in the upper middle class. They proved their dominance several times in this segment. We always pay special attention to exceptional components and we gladly do some extra tests outside our classic procedures. In this “preview”, you can let us know what exactly it should be. 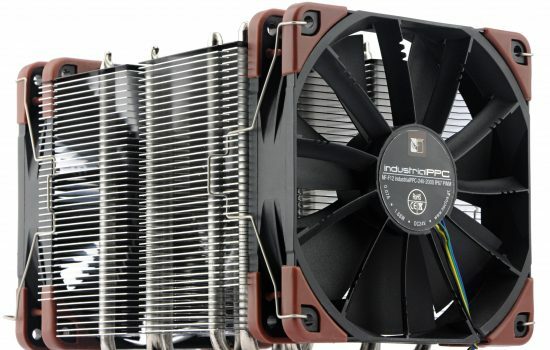 If you think that SilentiumPC Fera 3 and Arctic Freezer i/A32 are not efficient enough, and Noctua NH-D15 or Cryorig R1 Ultimate are over your budget, you will end up considering something from Scythe. This space is their speciality, or rather, exactly what they focus on. Scythe has reached the top of efficiency with the Fuma model, the cooling performance and weight ratio is really top-notch. Probably no other cooler of higher quality will match it in this direction. And Fuma keeps this status with any intensity of the flow, that is both at higher and lower noise levels (although it excels especially in low RPM modes). However, we are talking about the first revision (which was tested by Ľubo in pcrevue.sk). The second one, rev. 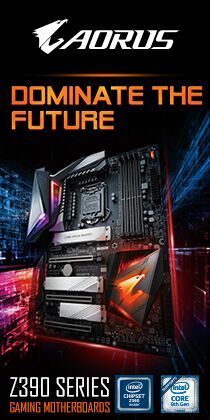 B, officially brings only AMD AM4 support, but you know how it was with Freezer 33… you never know, you cannot see inside the heatpipes structures. But one thing is certain right now. Availability is poor. Smaller serial production can be understood. 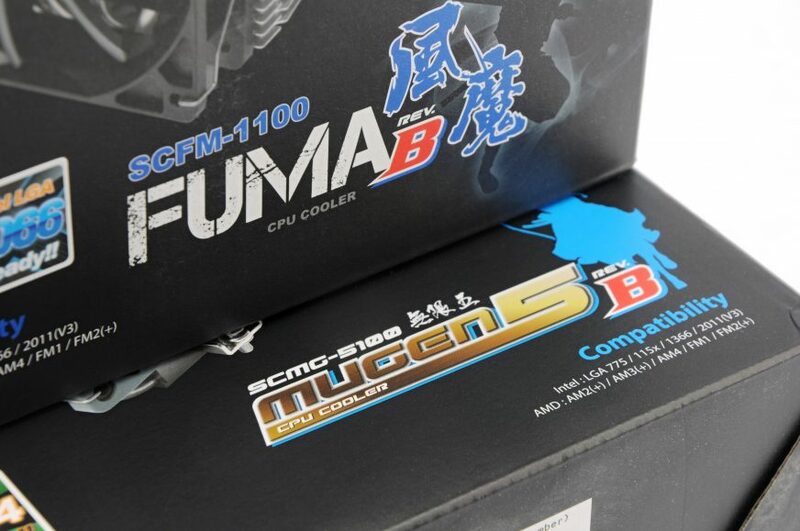 The brand “Fuma” is not as known on the market as Ninja or Mugen (these coolers are everywhere). It would be interesting if Scythe did not stop Mine models in twin-towers. Mugen 5 is trying to solve another problem, one for which Scythe is often criticized. 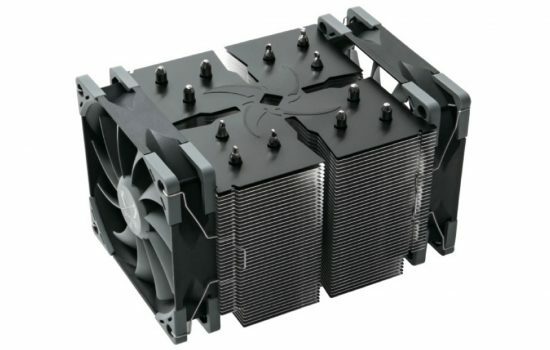 The excellent price/performance ratio is achieved also thanks to use of relatively cheap fans with plain sliding bearings. 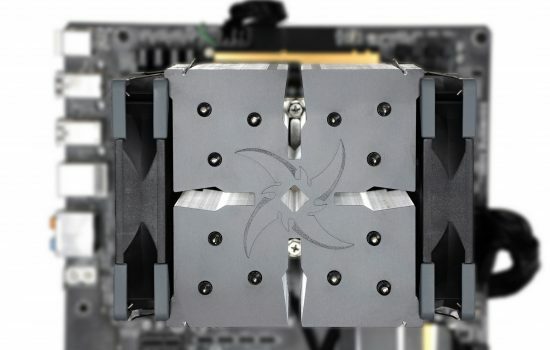 The fifth series of Mugen coolers has started using liquid fluid bearings (Kotetsu Mark II uses them too).Of course, these are not as massive as they used to be in Scythe S-flex SFF21D fans. If you can remember them, you will probably agree that their construction was quite an overkill, considering max. 800 rpm. What bonus tests would you like to see with these two coolers? From our point of view, it would be worthwhile to test Mugen 5 with some extra fan. The heatpipes arrangement calls for it (and Scythe sells Mugen also in the two-fan configuration). On the other hand, Fuma, due to the combination of two towers and wider gaps between ribs, could be well-used in fanless configuration without system cooling. 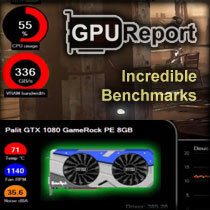 Here is a comparison with Zalman FX70. Nofan coolers are unbeatable in the horizontal position, but they suffer quite a lot in the usual vertical position of the board (uneven heating which drastically decreases their efficiency), as you can see in the tests on Cnews.cz, former ExtraHardware.